one of the biggest challenges of the Toronto wedding photographer is to create distinct photographs for each client. At this wedding that took place at Liberty Grand I tried to push my second shooter to create something different. While the concept of placing the ring on the bridal bouquet is not something new, its execution and composition is outstanding. While I was taking pictures of the bride and the bridesmaids, I asked my professional photographer colleague to photograph the shoes, the garter, the rings and other things close to the bride's heart. In North America, the wedding day is a hectic and often unorganized period of time. Quite often, the professional photographer is forced to adopt a reactive position as opposed to one where he has a control. As I tell my couples, in order to create the stunning photographs they see on the website, I have to have a certain amount of control over the events. And obviously not going to take over somebody's big day but sometimes I will intervene to create a beautiful moment the driver I or my second professional photographer can capture. The engagement ring as a symbol of love and has been present since the Roman Empire. The Romans believed that the vein of love linked the ring, placed on the left-hand to the heart. Only later DeBoers introduced the diamonds as a must-have for an engagement ring with the slogan "diamonds are forever. " It is not uncommon for grooms to buy a non-diamond engagement ring. As an additional piece of information, about 80% of the brides have an input in the type of ring they will receive. Some of them go as far as accompanying the groom when he buys the ring. The ring also shows of the love for the bride and supposedly the more expensive the stone, the more the groom loves his bride. 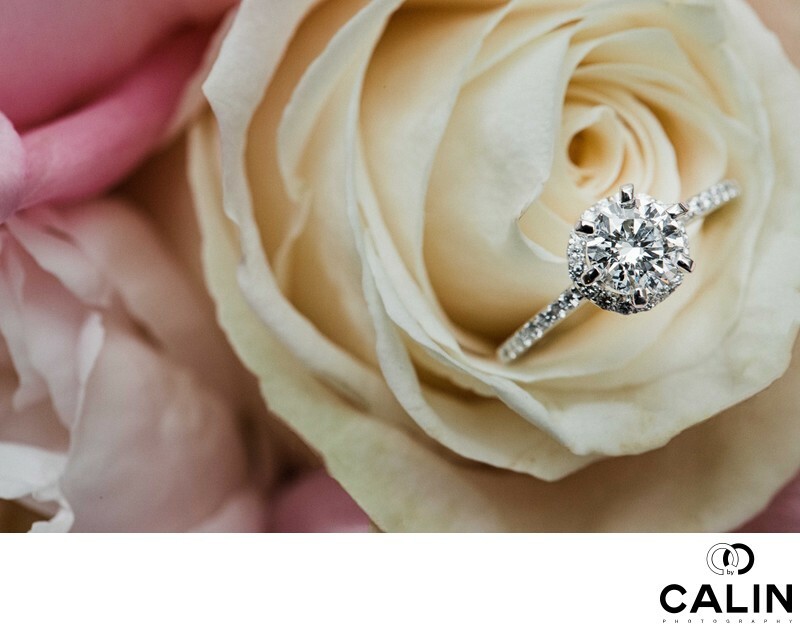 Among the most popular diamond cuts the wrong brilliant, the princess cut, the Emerald cut and the oval, halo and cushion cut. Well in the past 50 years the diamond solitaire ring was the norm, nowadays, couples opt for multiple stone rings. There are also places where you candesign your own ring. The engagement ring etiquette states that the bride to be as to where the ring on her left hand. However, some brides prefer to wear the ring on the right hand and only place it on the left-hand after the wedding ceremony. No matter what you choose to do, don't worry about it! There is no rule set in stone and feel free to do whichever you please. More important that everything is the love between the bride and groom, not the so called norms. As a professional photographer, I monitor and sometimes follow the trends in wedding photography. I have to admit that a concerning trend is that of so-called wedding details overthrowing portraits captured on the big day. In part, this tendency is imposed by law and wedding magazines that demand that many of the photographs capture elements of decor. In many cases professional photographers in Toronto and elsewhere have to abide to these directions if there want a particular wedding to be published. Often, the influence of social media is strong in the brides prepare must have shot lists. Several times, the bride and groom asked me to take plenty of photographs of flowers, wedding cake, decorations and so on and sadly, the missed the family portraits. Often, the group photos are supposed to happen during the cocktail hour or immediately after the outdoor ceremony in the courtyard. I'm referring to locations that own a beautiful outdoor venue such as Liberty Grand Came in Complex, Eglinton Grand and Casa Loma. I know professional wedding photographers in the greater Toronto area who neglect completely the family in guests portraits in favour of ring, shoes, garter and key shots. However, at this Liberty Grand wedding I managed to keep a balance between the portraits of the family and guests and detail shots. After all, down the road bride and groom will care more about the people were present on their special day and not about the bridesmaids dress, the food or about 100 pictures of the courtyard.